Today is April 10, but you sure wouldn’t know it by the temperature outside! 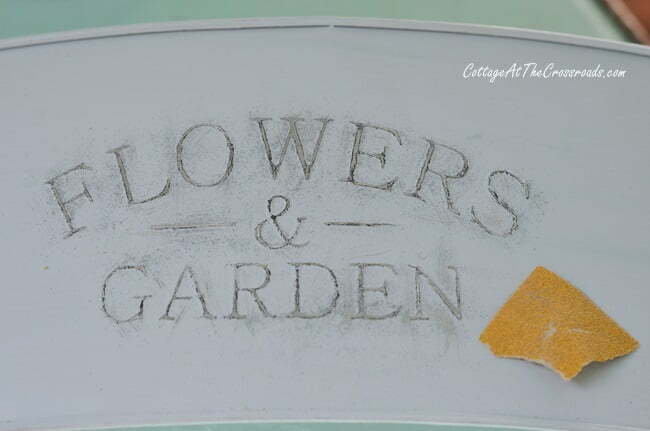 It’s been too cold here to plant annuals, but I have an inexpensive metal planter makeover to share with you today that can hold some pretty flowers until they can be planted outside. 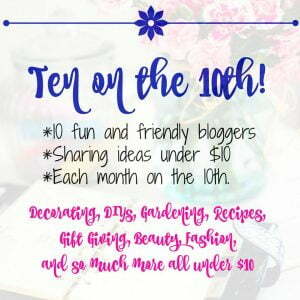 It’s all part of Ten on the Tenth where ten bloggers share thrifty ideas that cost under $10. 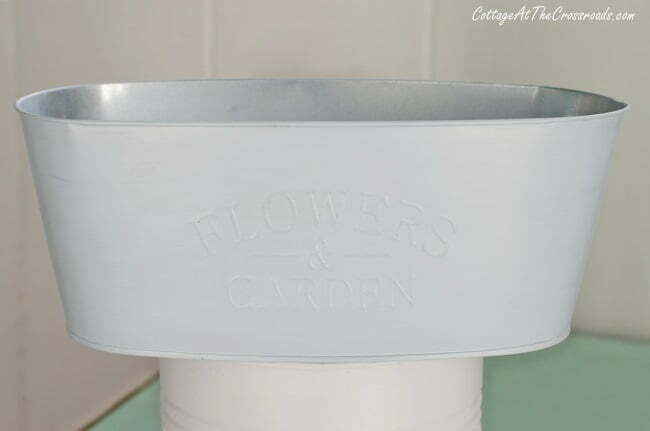 This month our challenge was to create a pot or planter for less than $10. 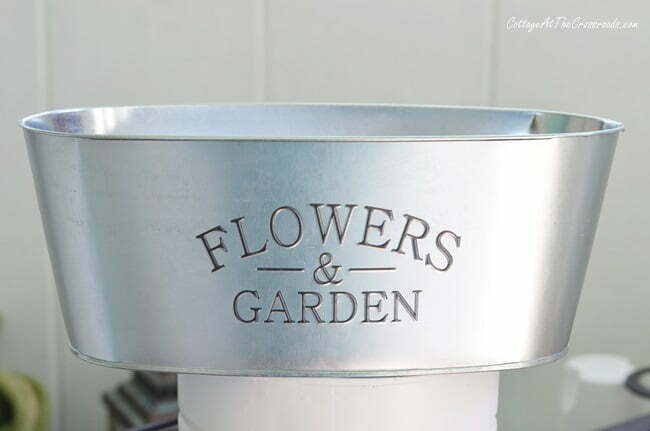 So recently I was shopping in a Dollar Tree store and saw this embossed metal planter. It cost a total of $1! Yay! The planter was not bad in its original state, but it was so shiny! The shininess shouted cheap to me, but I loved the embossed words. I knew I could give this planter an upgrade with a little paint. The planter is fairly small since it is only 10.5 inches long, but it’s the perfect size to place on a table or counter indoors. Or, it’s also a great size for a gift. The first thing I did when I got the planter home was to lightly sand the surface. I didn’t think paint would stick very well to such a slick surface so I roughed it up some. Here’s how it looked after I sanded it. But I knew that I wanted to paint the planter with the same soft blue acrylic paint that I had used recently for another project. I simply love this color! 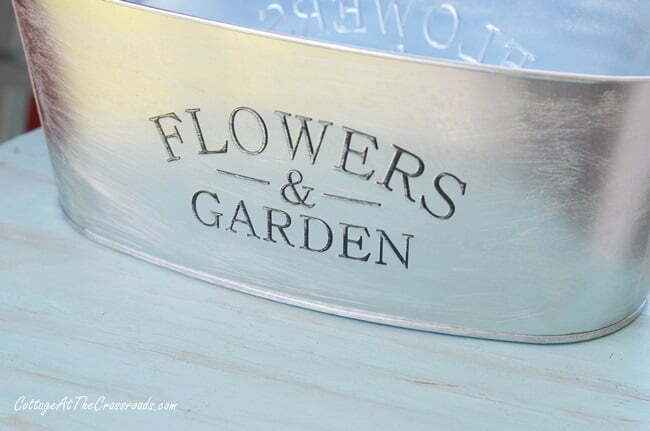 I did put 2 coats on the planter for good coverage, but as you can see, the paint covered the embossed letters. No problem, though. 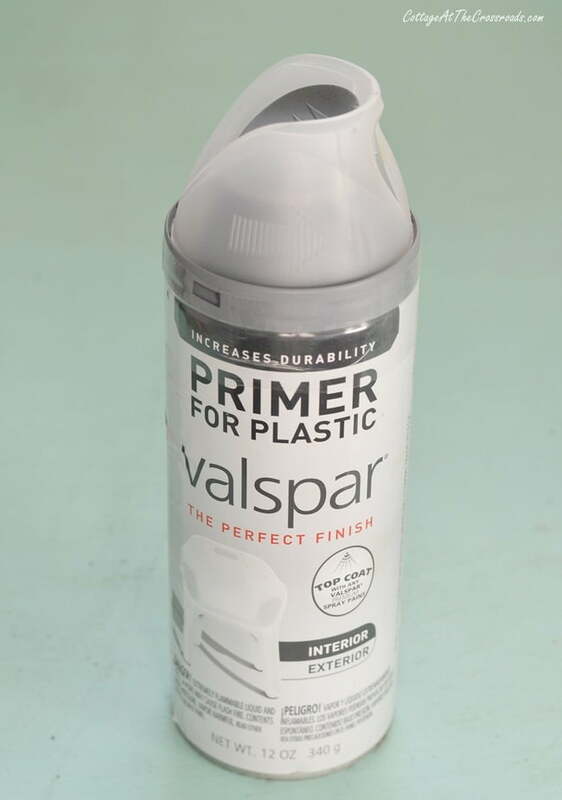 I used a small piece of sandpaper to remove the paint from the letters. But I couldn’t help getting some sanding marks around the letters. So I took a small brush and touched up the paint around them to remove the marks. Now a planter needs flowers, right? 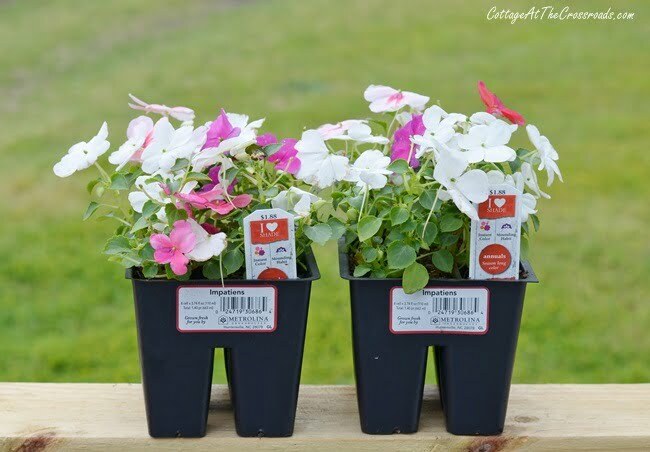 So I picked up 2 six packs of impatiens for less than $4.00. 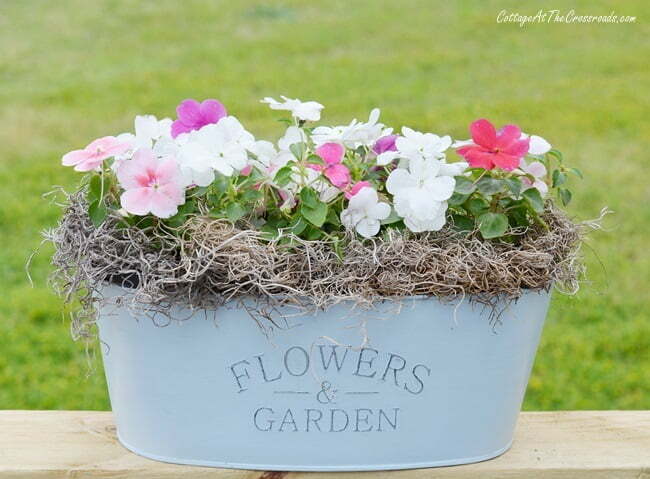 I just love the pretty spring colors of the flowers with the soft blue of the painted metal planter. So much better than the cheap, shiny finish that was on it originally. 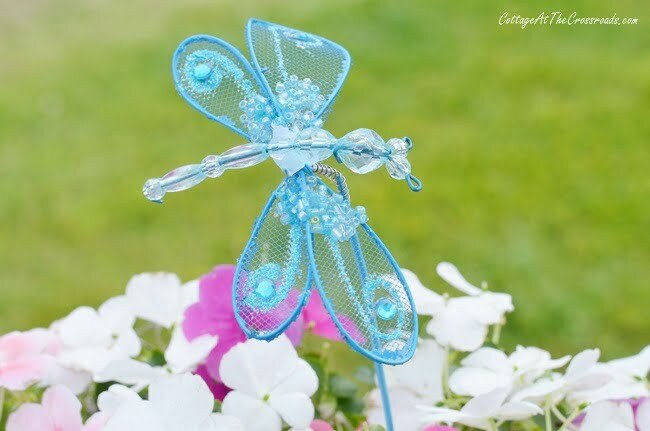 Then I thought how pretty this dragonfly pick would look in the planter. It was $1.98 from Hobby Lobby. I found it in the party section. 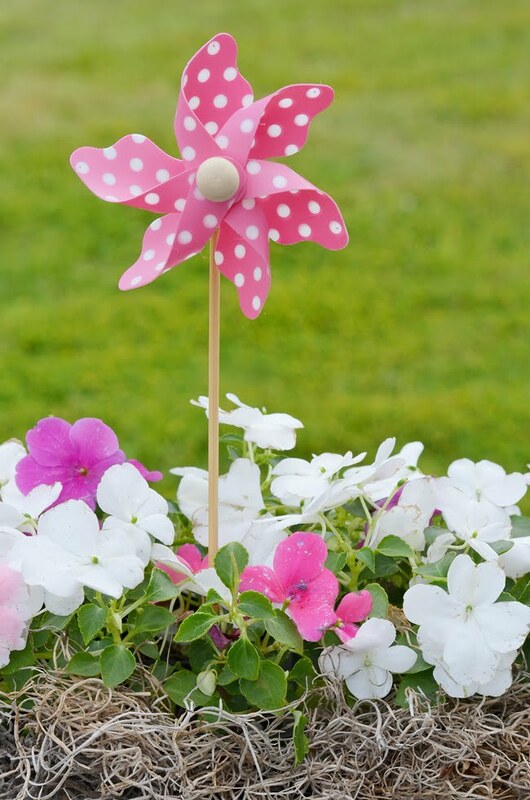 Along with this pretty pinwheel. It was only .59! 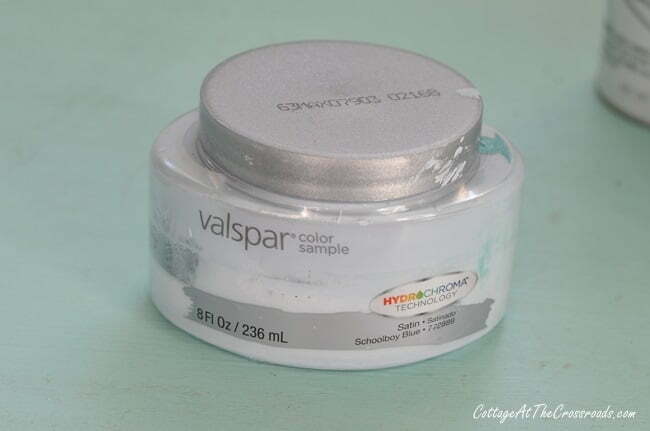 So I spent about $7 (not counting the sandpaper, primer, paint, and Spanish moss which I already had on hand) on this dollar store metal planter makeover! I don’t think anyone would ever know that this planter started out as a cheap, shiny dollar store item! I’m thinking that these planters make great gifts for teachers, mothers, or for someone who needs a little spring in her life! 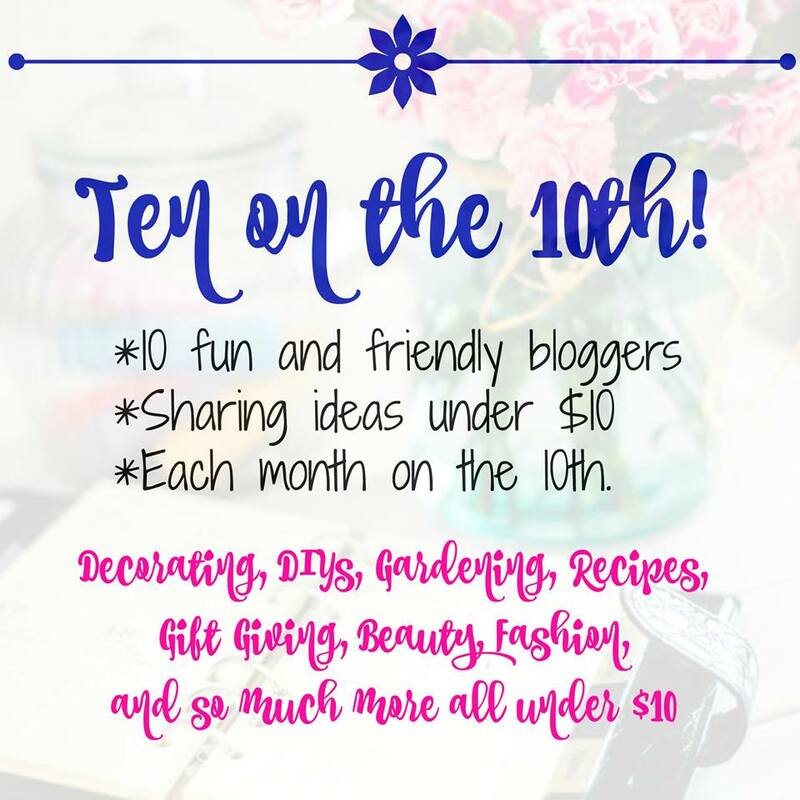 Now it’s time to check out the ideas that the other Ten on the Tenth ladies have for us! You create the best tutorials. Love the way it turned out! Jan I bought the same exact planter and I have to say adding a little paint takes it up many notches. It looks so french and elegant now with the white and the sanding of the letters. Time to get my paint brush out! And let’s hope we get some spring weather soon! 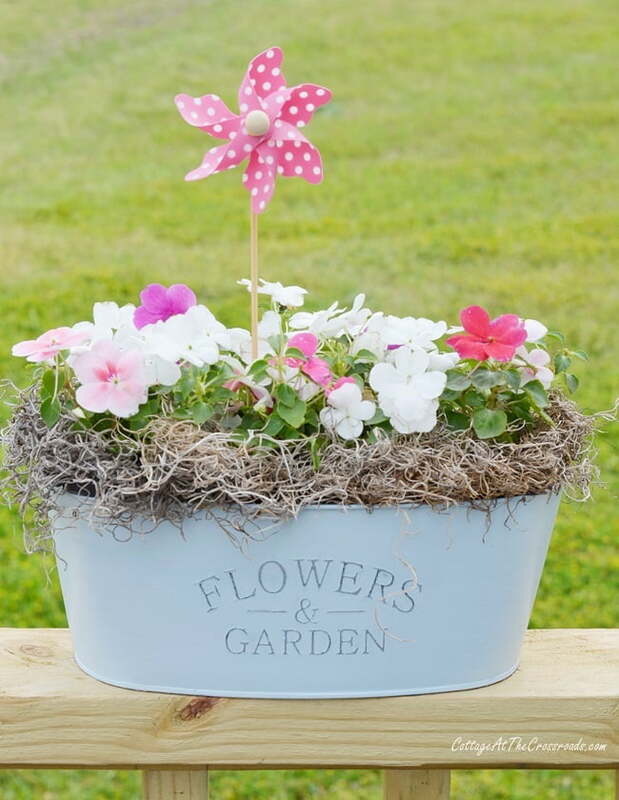 Jane, I absolutely love this garden planter. You were so smart to paint it and sand away the paint to expose the letters. 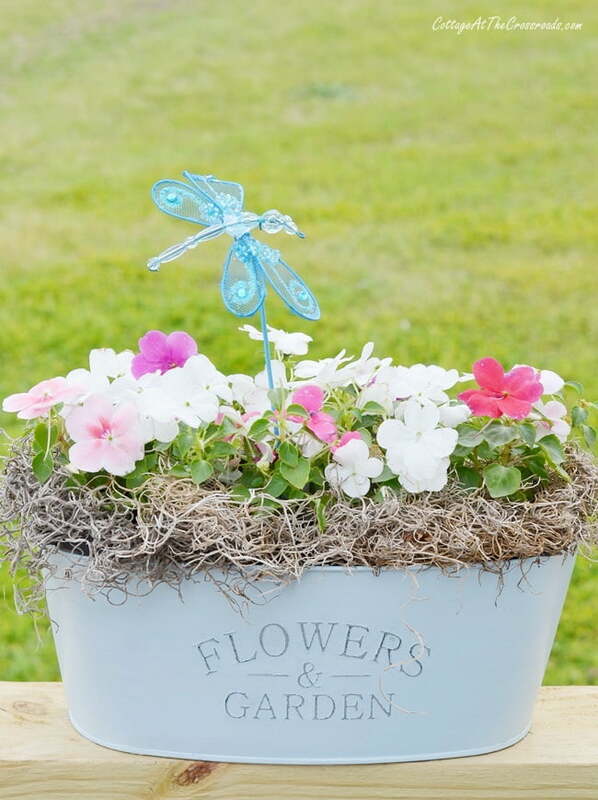 The impatiens look so pretty and the dragonfly was a great finishing touch. Cute as can be. 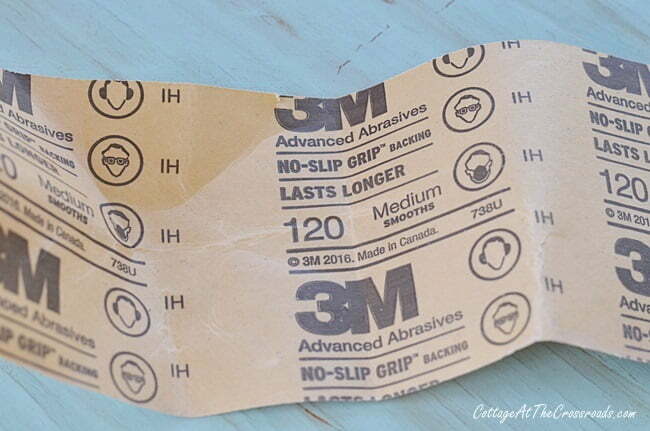 I think you will use this time and again. Love this jane. You are so creative. I’m going to need to visit Dollar Tree! Great makeover! Love this! It screams spring and summer and I am so craving color and sun right now. It hits the spot!! This project is so complete and pretty! I really struggled with this one. I’m so glad to read your blog. So cute!! I love the color and the picks are just adorable. It would be a perfect gift or outdoor centerpiece. This is adorable. It’s great for under 10 dollars. It would be a perfect teacher gift.